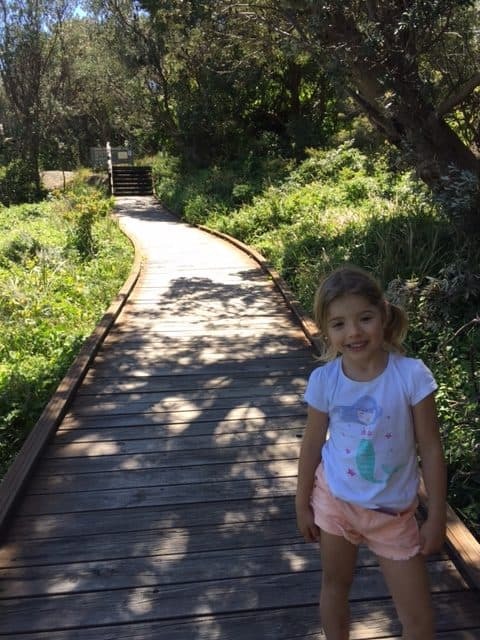 The combination of the South Head Heritage Trail and Camp Cove beach makes a terrific family day out. It is accessible by public transport so ideal for visitors to Sydney without a car. 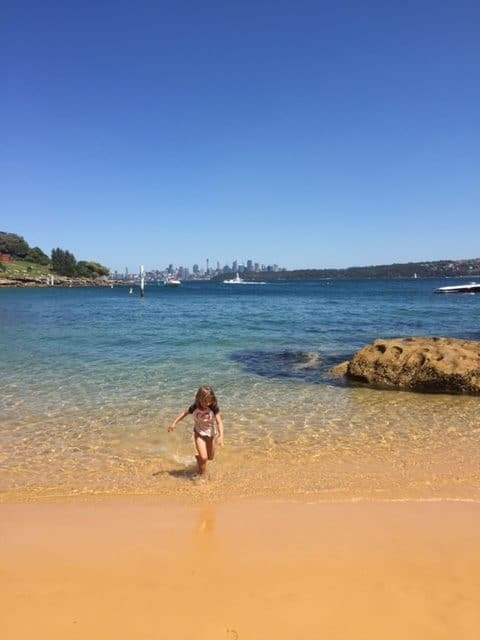 It has all the elements to have a great day: stunning views, an excellent beach that is safe to swim, good facilities and fantastic playground. 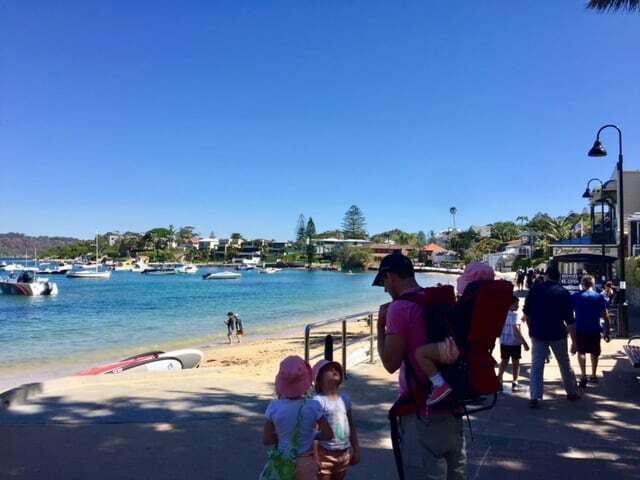 We started from Watsons Bay Ferry Wharf and we continued walking along the promenade. Little boats were lying on the sand like the ones that you could find in a little fisherman village. It is such an inviting spot to go for a stroll! We took Pacific Street and we walked until the very end which is called Green Point Reserv. Pacific Street and the streets nearby are a mix of modern millionaire houses and renovated wooden cottages where fishermen used to live. Some of the buildings of this street are heritage listed. We reached Camp Cove, what a beautiful little beach! The plan was to have a quick swim and to continue with the route, but my four year old decided that the beach was too good. Views of the City from Camp Cove – lovely! There was no way to convince her that she would be able to see a lighthouse like the ones of the story books, with red and white stripes. So, my husband stayed with her and I headed north towards the trail with our six-year and two-year old daughters. 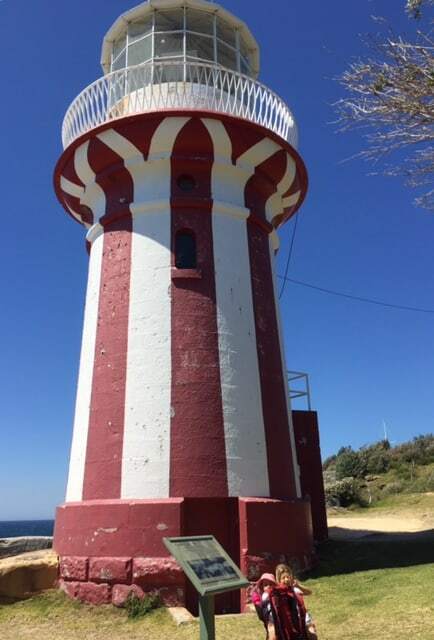 Luckily, the breathtaking views of North Head and the harbour entrance were not too far away, follow by the picturesque red and white Hornby Lighthouse. I can say without doubt that it was a rewarding walk. Our eldest daughter embraced the little adventure, she absolutely loved it. Our little one enjoyed it, too. She likes the backpack, so it is easy for us to go around and explore new places. Note: there is a point that the trail turns into a 500m-loop track. We walked clockwise along the coast. The views are more spectacular. The total length of the route is 3.5km. Toilets/Baby change: There are toilets at Green Point Reserve and at the northern end of the beach. There aren’t baby change facilities, but the promenade can be used as a good surface. 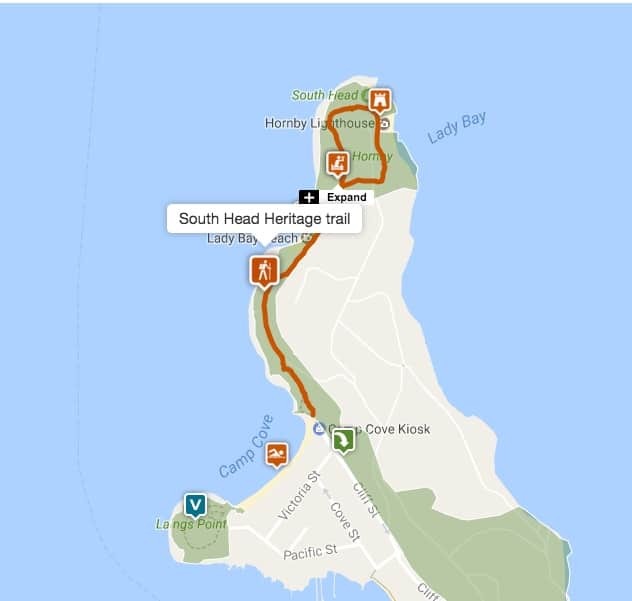 South Head Trail: You can find toilets about mid way. 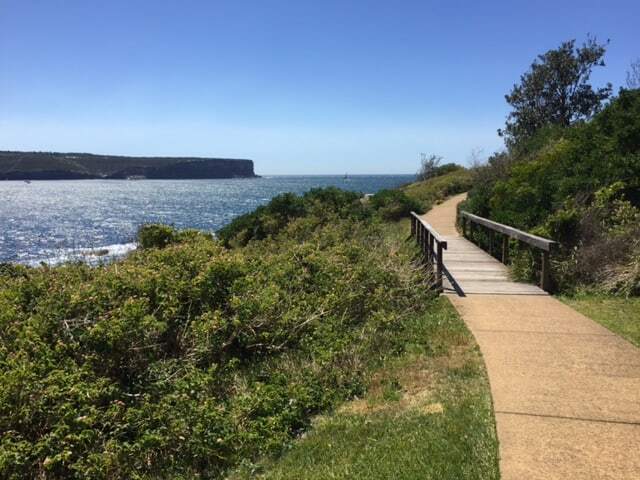 Mum’s report: Camp Cove Beach and the views of South Head Heritage Trail are so beautiful; they are a “postcard perfect destination”. Look at the photos! No filters, I promise. 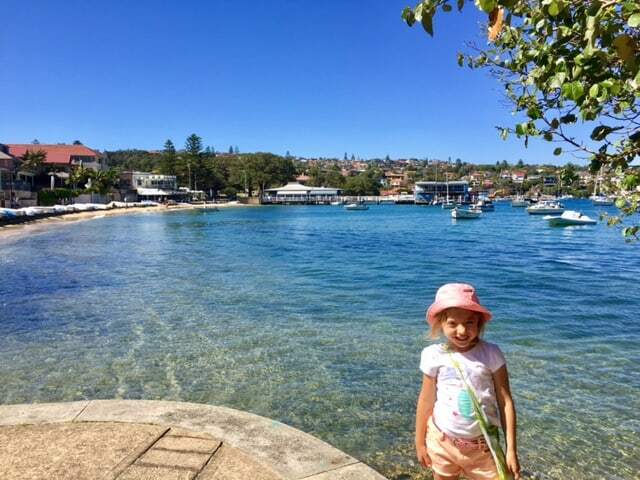 Extra: There are lots of things to do around Watsons Bay, Camp Cove Beach and the South Head Trail. For a nudist enthusiastic: Lady Bay Beach. For someone that likes diving: Green Point Reserve. 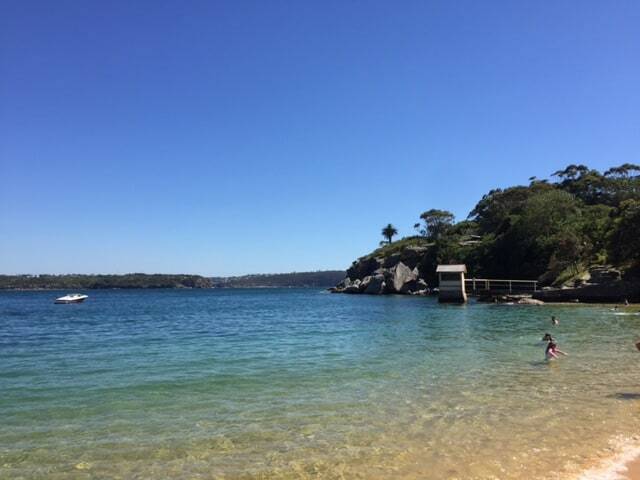 For swimming and snorkelling: Camp Cove or Watsons Bay Baths. For eating: the child friendly café Watsons Bay Tea Gardens or takeaway fish and chips from Doyle’s Fisherman’s Wharf on Marine Parade at the bottom of Robertson Park. For a longer day with older kids: go to the Gap and enjoy the views of the spectacular cliffs from the platforms. And if you still feel energetic, go up to Christison Park and see more cliffs and the second lighthouse of the day, Macquarie Lighthouse. 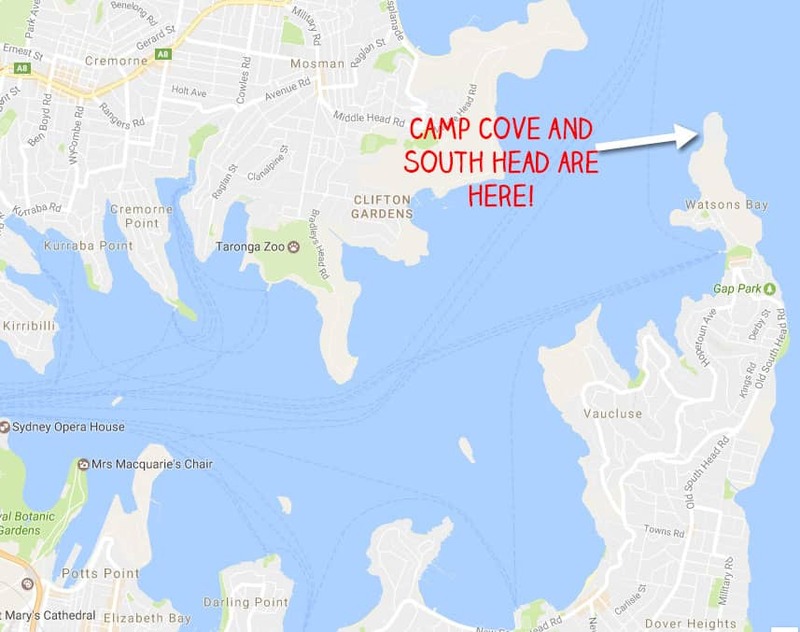 Finally, if you are interested in history, read this historical info about Camp Cove on the Council website here. 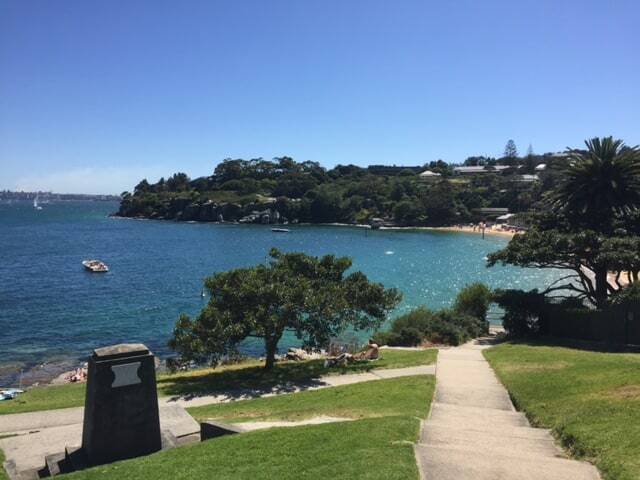 Bus stop nearby: Yes, the most convenient bus stop is the one of Watsons Bay, opposite Robertson Park. From there, you can start the “South Heritage Trail”. 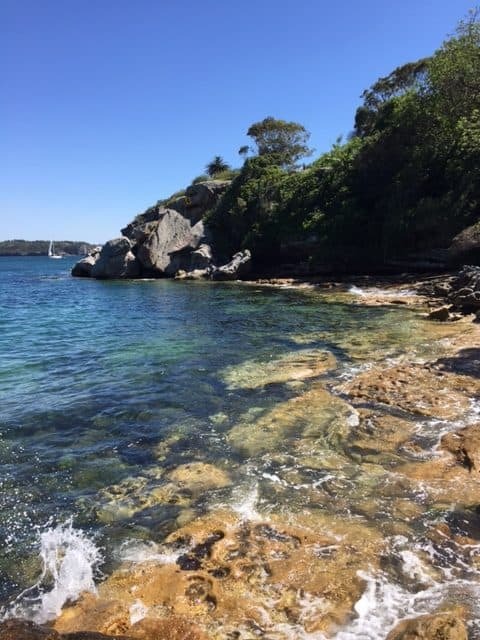 Believe it or not, Camp Cove Beach and South Heritage Trail are not perfect despite being a fantastic destination for a day out in the city. On a summer weekend, it can be very crowded. To find a spot close to Camp Cove Beach is complicated, because the car park is tiny. Besides, parking of nearby streets is only for resident permit cardholders. Car parks are located in Cliff St and the very end of Pacific St. Also, you can try Old South Head Road, if you don’t mind walking. This is “our lucky spot”. Camp Cove Beach hardly has any shade. Therefore, bring umbrellas or sun shelter, hat, and sunscreen. If you forget something, the kiosk sells hats, sunscreen and even towels. South Heritage Trail is very exposed. Be aware that the trail is not protected. Children need to hold hands all time unless they are old enough to follow instructions / they are responsible walkers. 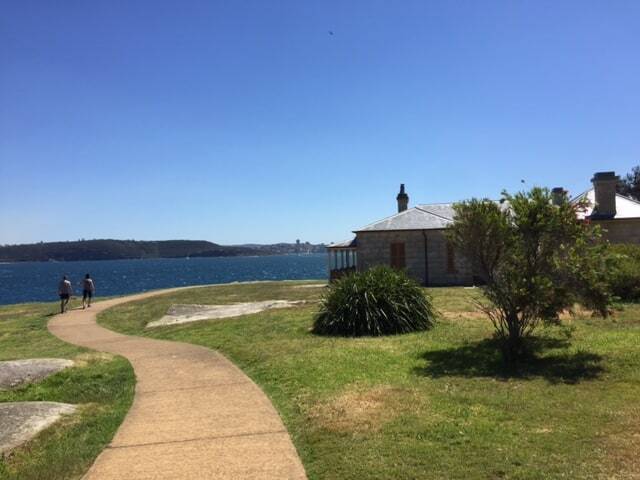 Find lots more coastal walks in Sydney on our main Sydney walks post here. Thank you so much Mireia. 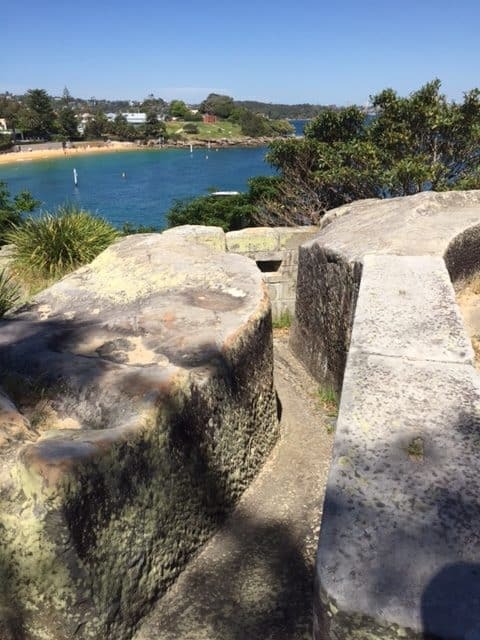 Have you visited Camp Cove or done the South Head Heritage Trail? This is a great itinerary and the photos are just fantastic. I love how you listed down the drawbacks. I appreciate you in adding the drawbacks, I can use it to better prepare my family when we go there. Great tips!